Sometimes simplicity is the necessity that leads to invention. 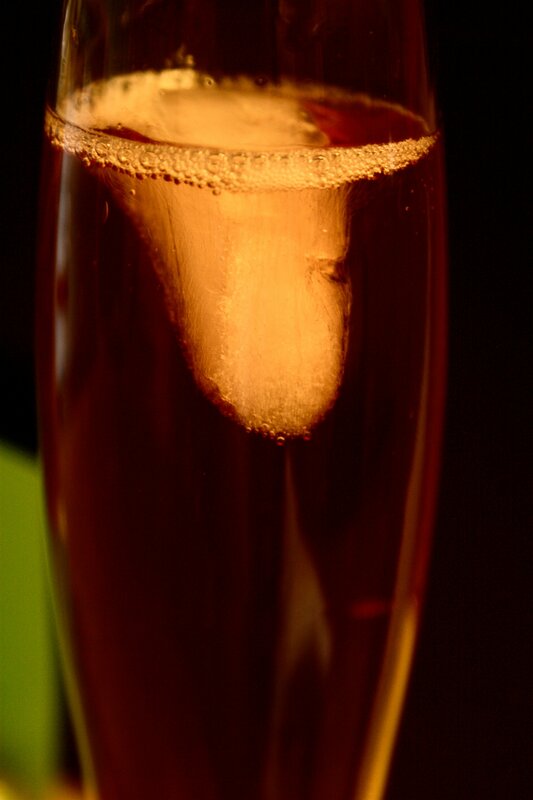 Place the large ice-cube in a champagne flute. Top with the PAMA and ginger ale. Serve.